Bodhi Tours and Treks Kathmandu Valley, the surrounding areas and ancient UNESCO sites. Interested in Buddhist landmarks, Hindu temples and exotic architecture? This is your trip! Himalayan Destiny specializes in showing guest the highlights of the Kathmandu Valley and the surrounding areas. We offer several tours which focus on delighting guests with Kathmandu’s ancient UNESCO sites, stunning mountain views and tasty cuisine. 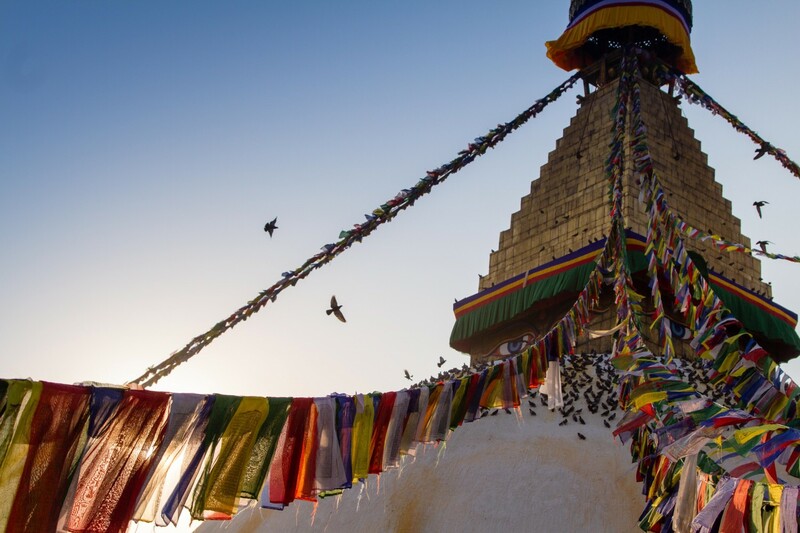 Our Kathmandu tours range from one to nine days, depending on the package, and are sure to delight travelers, especially those interested in Buddhist landmarks, Hindu temples and Nepal’s great wealth of exotic architecture. Choose this trip because, following is included! Transfer to all sightseeing places mentioned. Domestic air ticket from Kathmandu to Pokhara. * depending on package, check the details! You'd like to know more about this trip "Colors of Kathmandu"? Don't hesitate and write us a message!